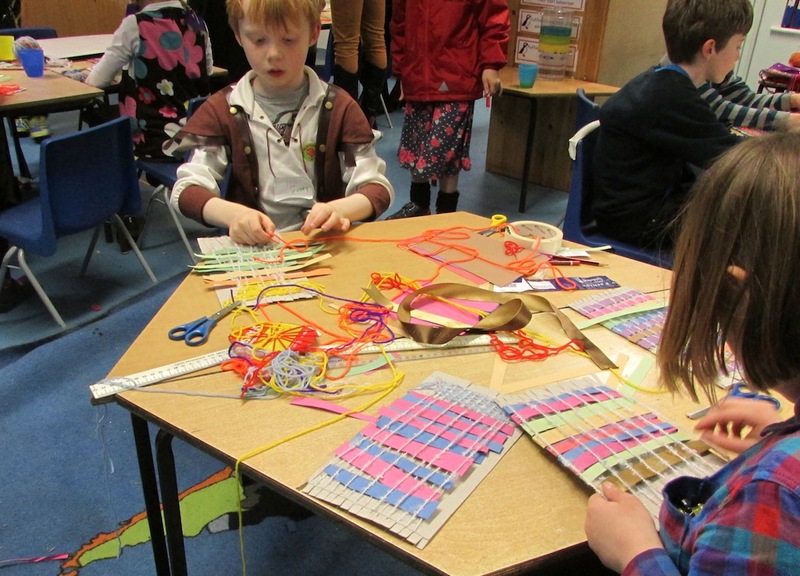 At today’s Pelham art club, artist Karen Logan introduced us to wonders of warp and weft with a weaving workshop. 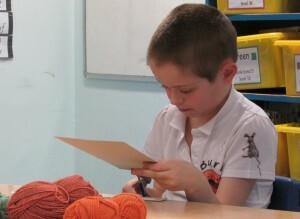 First we looked at what we were wearing and the difference between the threads of knitted and woven fabrics. 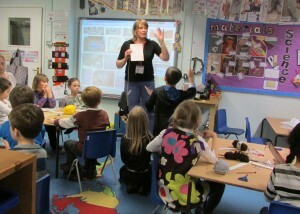 We were dressed in character for World Book Day, so had a variety of different textiles to consider. Karen then introduced the principles of weaving and demonstrated a simple weave. 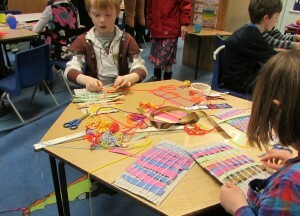 We set to work making cardboard frames for our threads. 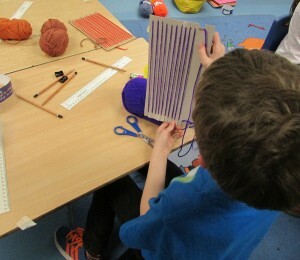 First we measured 1cm from each end of the card, then we cut the card to these lines at 1cm intervals. 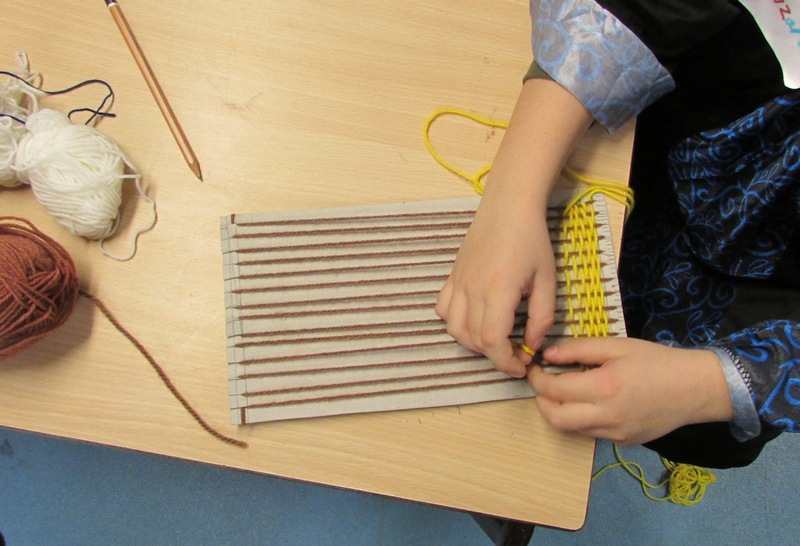 We then prepared our warp by running threads up and down the front of our card, securing them by winding round the back of each top and bottom tab. 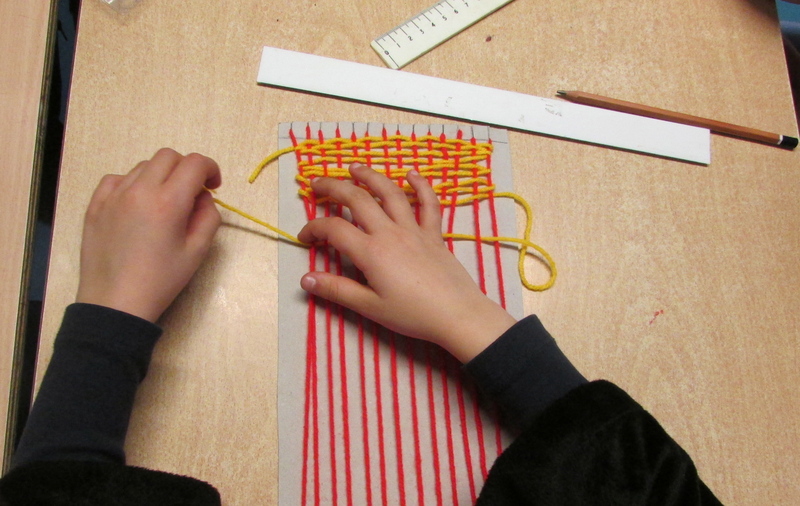 We then added our weft. 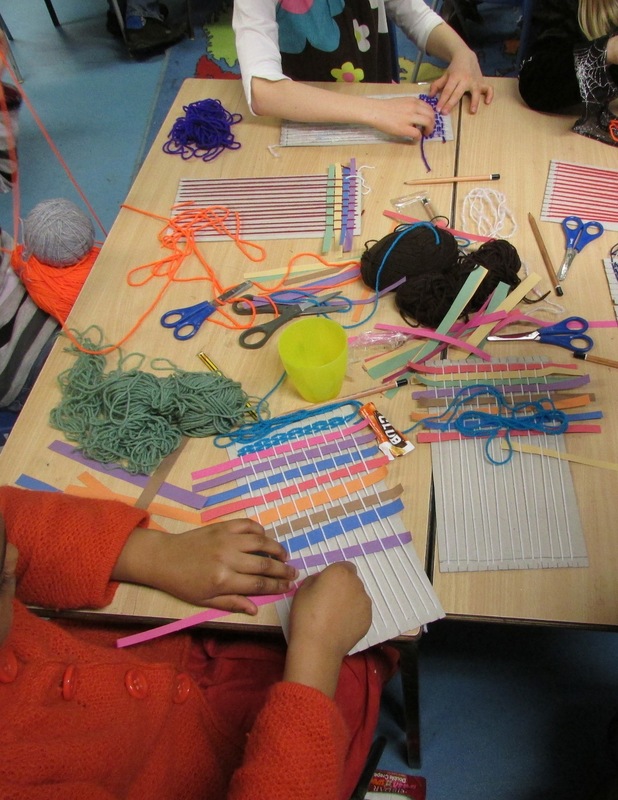 Some people chose contrasting colours of wool. 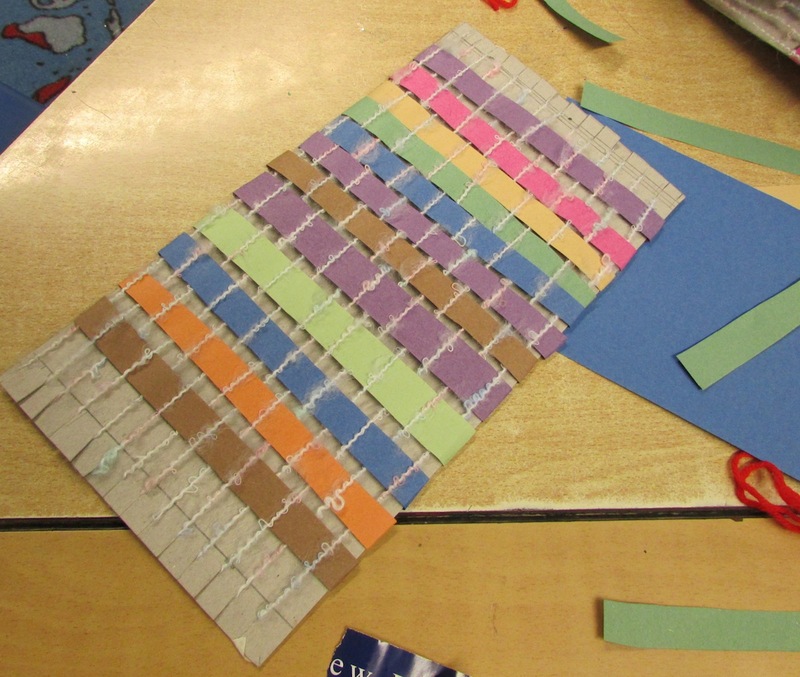 Some people chose to use coloured paper. 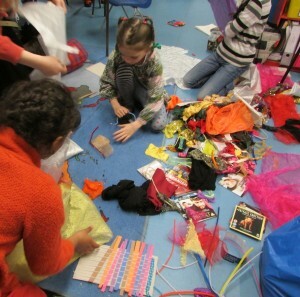 And some mixed up both, and added fabrics and pipe cleaners for more variety. 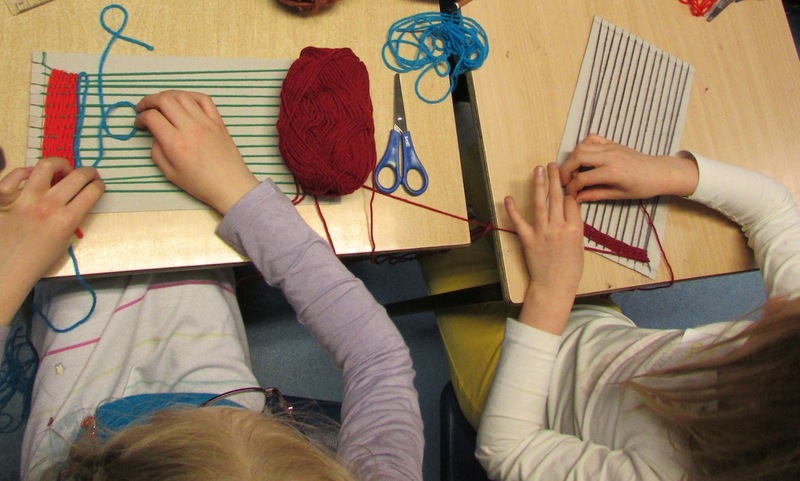 We didn’t have time to finish the smaller weaves, so in the last 15 minutes we had a good rummage through the fabric bag, and made some cuts of strips and yarns so that we could carry on at home.